Power of Love's Circle of Care is a comprehensive community-based program with the goal of stregthening the community one family at a time. This program was especially designed for resource constrained environments and takes advantage of Africa's most valuable resource: its family network, which believes in taking care of extended family members as their own. The program was developed with the help of the Harvard School of Public Health, and MIT's D-Lab. We are grateful for funds provided by our long time partners such as the Family Care Foundation, World Centric, SDDB Rotary Club, One Day's Wages, Global Giving, Granny Connection, First Presbyterian Church and private donors. Seed funds were provided by the Waitt Family Foundation in 2004. Power of Love's Circle of Care is an umbrella program that encompasses all our programs for HIV care, prevention, income generation, skills training, and education in Zambia. In addition, all programs are integrated. For example, women enrolled in our microfinance program are encouraged to enroll their HIV+ children in our Pediatric HIV Care program and caregivers of children in our pediatric HIV care program are encouraged to apply for a loan to start a business. In addition, all families are provided with education on HIV prevention, and mosquito bed nets to prevent malaria. Families are also encouraged to participate in our Safe Park activities to track the child’s physical and mental development. This comprehensive approach enables us to impact a family in multiple ways, leading to a stronger, more self-reliant community. to keep vulnerable adults and children malaria free. Over 2 million infants and children are living with HIV globally, the vast majority infected at birth. These infants have at best a life-expectancy of 4-5 years without intervention. In order to reduce the impact of HIV and prevent new HIV infections, our Circle of Care comprises of 10 programs that equip a family take better care of their children’s health and education. Survival rates for HIV+ children in our Pediatric HIV Program are around 95%. This is extraordinary, given that the life expectancy of an HIV+ child at birth is just 4-5 years without intervention. 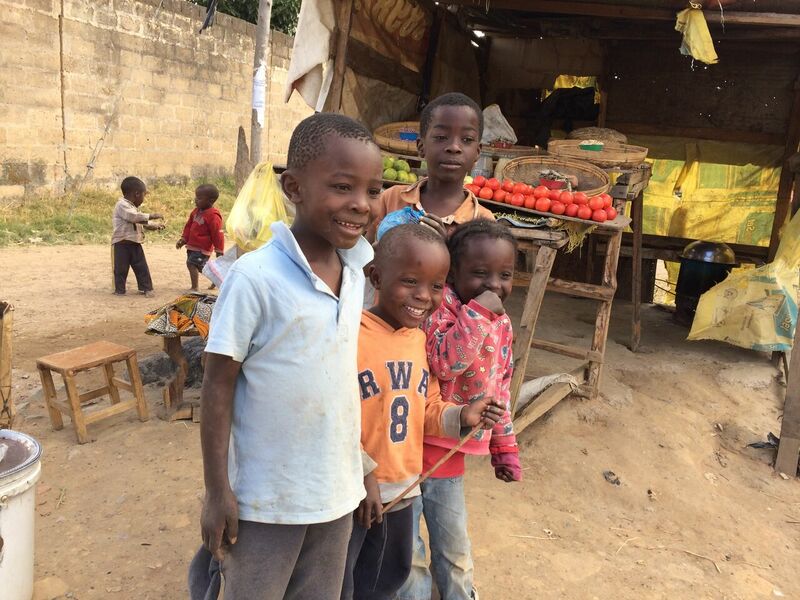 In addition, the families of these children have a better understanding of HIV care and prevention. As the child improves in health, family members themselves come forward for HIV testing, which reduces the spread of HIV and the stigma associated with this disease. Over the last years nine years, 38 children have been born in our Prevention of Mother-to-Child Transmission program. Of these 38 children, 37 have been born HIV-free despite having HIV+ mothers and siblings. To date our Microfinance program has been able to provide over 2000 small loans and business training to women impacted by HIV and AIDS. Repayment rates are around 90%, which is extraordinary given the difficult circumstances (high incidence of HIV, AIDS, and malaria) of our loan recipients. Since each woman cares for seven people on average, our micro loans program has impacted over 4000 people directly and an additional 3000 people indirectly as women share their learning with others in the community. Loan recipients are able to feed their families, pay for school expenses, and look forward to a bright future. Women who have graduated become role models and mentors for others in the community. We are seeing a lower incidence of malaria in our families as a result of our malaria education and prevention program. Our Safe Park program is free and open to all children in the community. This program enables chidlren to play and learn in a safe environment. Children participate in educational games and activites and home work help is provided. They learn to interact better with their peers, have a better knowledge about HIV care and prevention, and develop a sense of well-being and belonging in the community. About 70-75 children particpate every week and we 760 chidlren are enrolled in this program. We have been able to achieve these results in a surprisingly cost-effective manner - the cost of prvision of health care services is just under a dollar a day. In our micro loans program, loan capital is revolving - as women finish making repayments, that same capital is available to new women to start businesses. (i) Putting in place a highly cost-effective way to care for HIV+ infants and children so that they can lead close to normal lives for pennies per day. We bring in best practices from business and technology and continue to make the program more cost effective every year. At this time, our annual per-child cost is lower than what it was six years back and we are delivering more care and services. (ii) Putting in place a program to prevent the spread of mother to child transmission of the HIV virus. (iii) Teaching mothers of HIV+ infants to take charge of their lives and become self-reliant through the provision of training in HIV care, business training and small loans that help them start a business. POL's Circle of Care does more than provide hand-outs; it strengthens communities by equipping families with tools that help them take steps toward self-reliance.